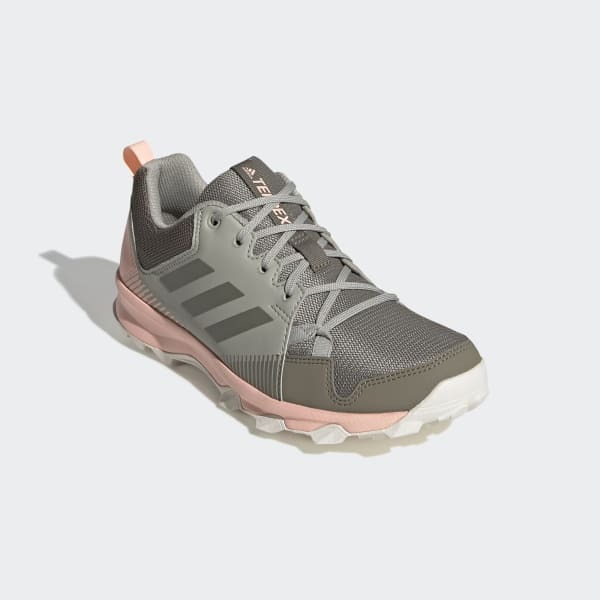 Trail running shoes designed for a woman's foot. 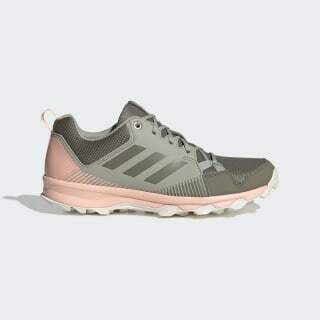 Made for light trail running, these shoes have a women's-specific design for a comfortable fit. They have a breathable and durable mesh and synthetic upper and feature lightweight cushioning. A rugged, high-traction outsole offers optimal grip on wet or dry trails.